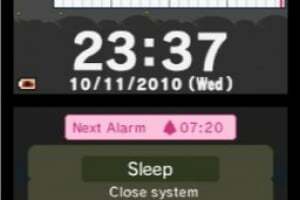 Sleep Clock is not just an alarm clock: you can use it to record and analyse your sleeping patterns, which helps you to manage your sense of well-being. 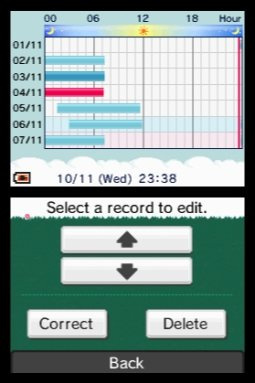 Simply start the timer when you go to bed, and put your Nintendo DSi into Sleep Mode by closing it. 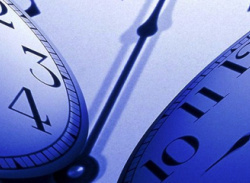 Upon waking, you will be asked how you feel; did you have a refreshing night's sleep, or did you toss and turn? 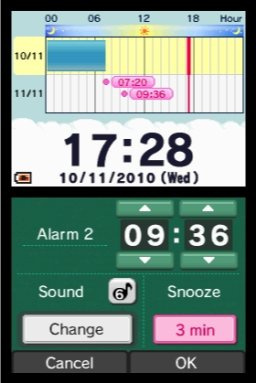 Your answers and the times you went to sleep and woke up will be plotted on daily, weekly and monthly graphs, allowing you to closely monitor your sleep time and quality. 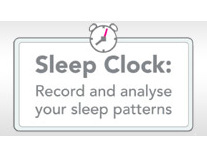 Mr Sheep, renowned ovine sleep expert, is also on hand to offer advice and comments about your sleep activity. 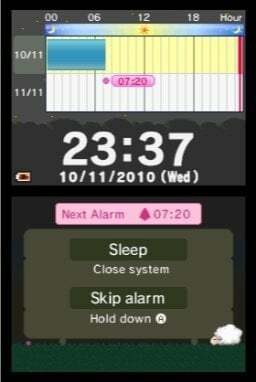 Set up to three different alarm times, with a choice between built-in alarm sounds or custom sounds recorded in Nintendo DSi Sound. 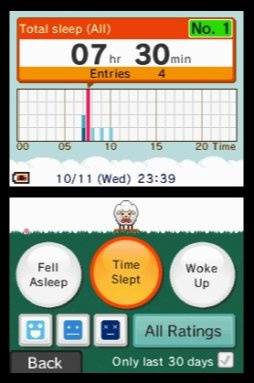 You can also have the Nintendo DSi speak the time when the alarm sounds. 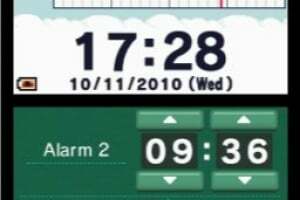 And of course, no alarm clock would be complete without a snooze function for those 'just five more minutes' mornings! Call me crazy but I want it! 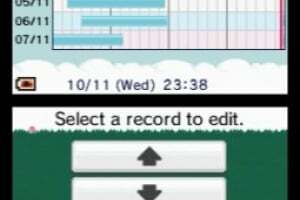 Size of the app: 14 blocks. Downloaded. Unlike the japanese verson it's 43 blocks, not 14! 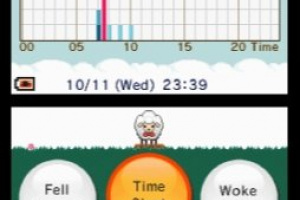 Mr. Sheep fell in love with Ms. Alpaka. 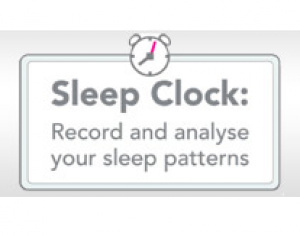 No how-&-when-to-sleep advices, minimum functionality (alarm, recording sleep time, graphs). Alarms can be VERY LOUD. The volume is independent from the system volume settings. 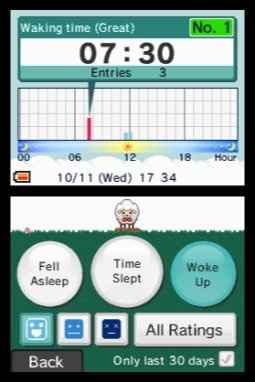 Six presets of alarm sound and the whole DSi Sound-theque. Snoozing at 3, 5, 10 or 15 min (or OFF). 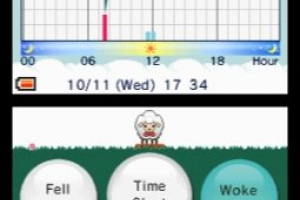 Calm down everyone, has it ever come to you that this app is for people with sleep problems? I mean I sometimes wake up in the middle of the night and can't get back to sleep.